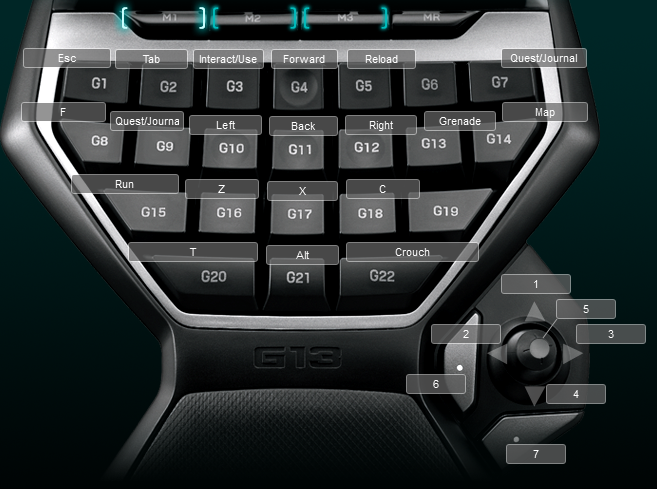 Below is a screen shot of my default keyboard layout. I place jump and melee attack on my 2 extra mouse keys like always. This layout works for almost all FPS’s and for the majority of MMO’s to with just slight variations. Over the coming weeks I will probably be updating some of my older profiles to match this as a standard interface for my layouts.